Hey Speechie Freebie Friends! Happy Monday to ya! I spent last week doing a gardening theme with a book that was new to me, Tops & Bottoms, by Janet Stevens. This is a great book for your elementary aged students. 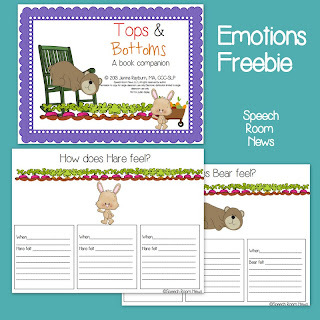 In the book, Bear and Hare go through a range of emotions, so part of my new book companion is a set of emotion worksheets. Students can identify 3 different parts of the story and the emotions that situation caused. 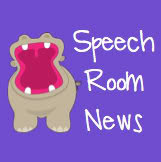 Grab the freebie on my Speech Room News blog by click the link below!